Looking at sorting out our next exhibition for next May so keep an eye open for the date, I just have to check that the village hall is free. We had another postcard swop today and I am very pleased with the one I have got this time, I have started straight away on it. Ann and I had a look at silk rods this time. 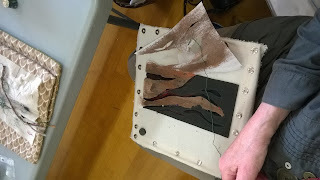 Ann split hers and then dyed them different colours. She also had a go at loosening a silk cocoon but didn't get too far with it. 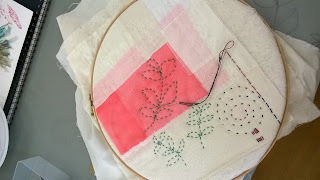 I split my silk rod and have attached it to some fabric and started stitching into it, think it might make a book cover. 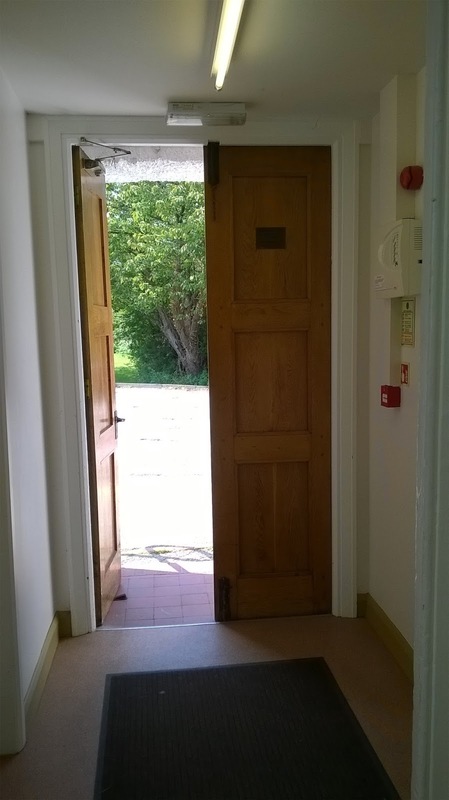 This is the view out of the village hall doorway. Maybe we should look at what is under the canopy that we can see. 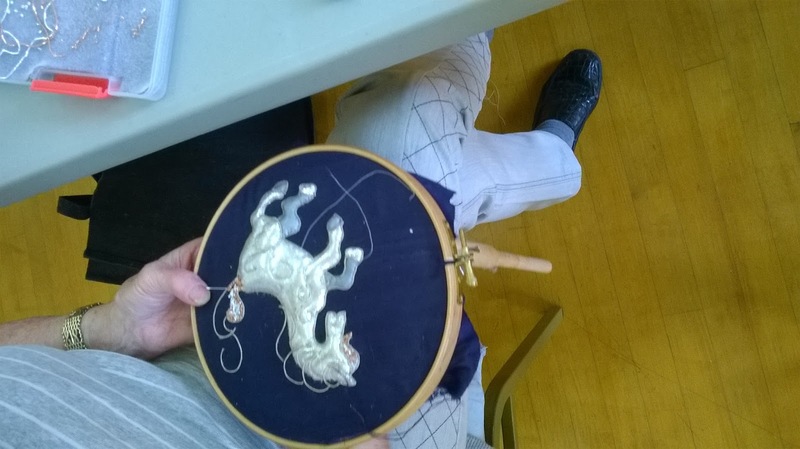 Christine is working on a piece of 'Silver' for the Embroiderers' Guild branch competition. Mavis was working on tree bark using papers and lutradur. Roma started this piece of delicate stitching as an experiment.